Hi guys, I hope you’re all well, I can’t believe that half the year is already done and dusted! My exams are also done so for the next 3 weeks I’ll be putting my feet up and making the most of this free time as I can. This is the start of a new financial year and thanks to the wonderful end-of-financial-year (EOFY) sales, I managed to pick up a few accessories that I needed – tech-related ones especially. I decided not to go crazy with the spending and having exams distracted me from making too many cheeky instore and online shopping trips! Basically the purpose of these stocktake sales is for retailers to clear out their excess stock, hence the massive discounts, and to increase sales to note down in their books before June 30, the last day of the financial year. 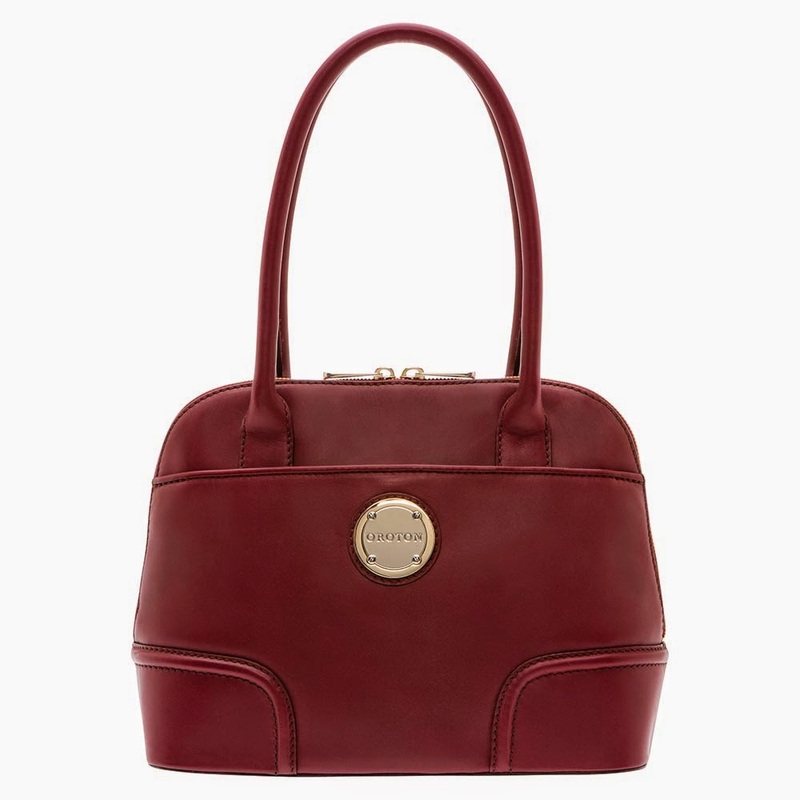 This first item isn’t part of my haul but I thought I’d include this anyway since I helped to pick it out – it’s my mum’s new Oroton handbag and it’s her first of this Australian leather goods brand. She was really excited to finally purchase one after years of contemplation. They had 50% off storewide plus an additional 20% off online orders for one day only. A lot of the bags that she showed interest towards were sold out before she could even add them to her cart however she managed to pick out one that she was happy to buy, and I’m happy that she did. I think it’s gorgeous. 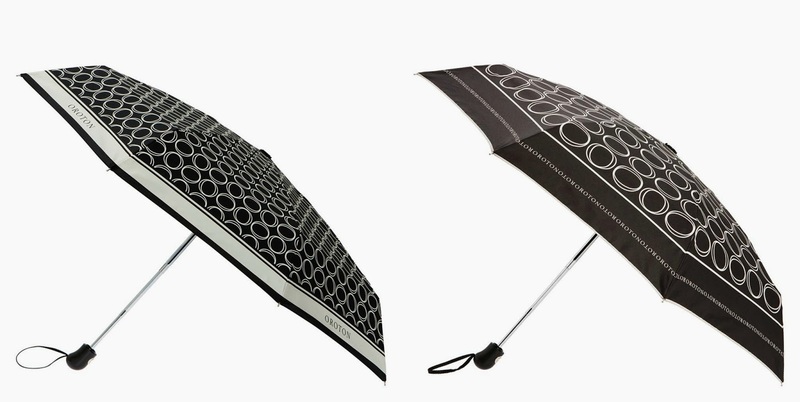 I also made a purchase on the Oroton website where I purchased 2 umbrellas because I couldn't decide on just one. I might give one to my mum. They're on their way so I couldn't add it to my collective image above, sadly! I snagged a Mimco Medium Pouch which was reduced and had a further 20% off reduction on one of the days, so it was almost 50% off RRP. Mimco is another Australian leather goods brand and what I really like about the pouch is its glossy patent leather - love the feel of it. A while ago, I wasn't that interested in this brand, particularly because a few of their styles didn’t appeal to my taste (the huge buttons, though I don’t mind the turnlock style) however I found that their pouches were really handy to use with a simplistic design. I see a lot of girls with them and it’s great that they have a wide selection of colours to choose from to suit individual personalities. I chose lilac because it’s soft and feminine and it caught my eye when it was released for the Mother’s Day collection back in May. I hope to get a pink one and/or a black one later on. I currently use it as my casual clutch to stash the basic necessities being my phone, keys, frequently-used cards, loose change, mints and lip balm. It can also be used as a cosmetics bag. Those cardholders in the image above are new too. I managed to buy two of them from David Jones’ sale for $25. I was intending to only buy one but for 50% off, I thought why not grab two so I did! And I’m really glad I did because I’m currently using both in my pouch and they’re so convenient to carry in your pockets etc. I’ve never had a cardholder before and seeing how often my boyfriend uses his, I was convinced that I needed one too. They’re made from Saffiano leather, the same type of leather that’s used for designer bags such as Michael Kors, Prada, DKNY and more. I had thought about getting a Tory Burch cardholder but after seeing these ones for just a fraction of the price and made from the same material, I decided not to. I’d be paying for the brand of a product which probably has the same quality as these anyway. Never say never though, I may still give into a Tory Burch! I love my music and nowadays I can only use in-ear buds as they fit snuggly and I think they make music sound even better than ordinary earphones. I’ve been using Samsung and Sennheiser earphones (my favourite pairs) and I ended up buying two new pairs from a brand I hadn’t heard of but had decent reviews online (and a mid-range price tag). I’m always wanting to have spare earphones in case I lose a pair or if they stop working. These are apparently around $30 each which aren’t too pricey but are more up-there compared to some that I’ve seen around $10 and less. Electronics shop DSE had these for around 80% off that price - $5 a pair with free shipping (say whaaaat)! What makes these different to the earphones that I already have are that these are tangle-resistant due to their flat cable. It’s so annoying when earphone wires get all tangled. Another thing is that they’re fluoro so they’re easy to spot in your bag. One pair is compatible with Apple (pink) and the other is compatible with Android (blue). Of course they work on both devices but the volume control buttons will only work for the brand that they’re designed for. I use my iPod and my phone to listen to music, depending on what I feel like listening to, i.e Pandora app or my own music. eBay had a one-day 15% off purchases which I gladly took advantage of. 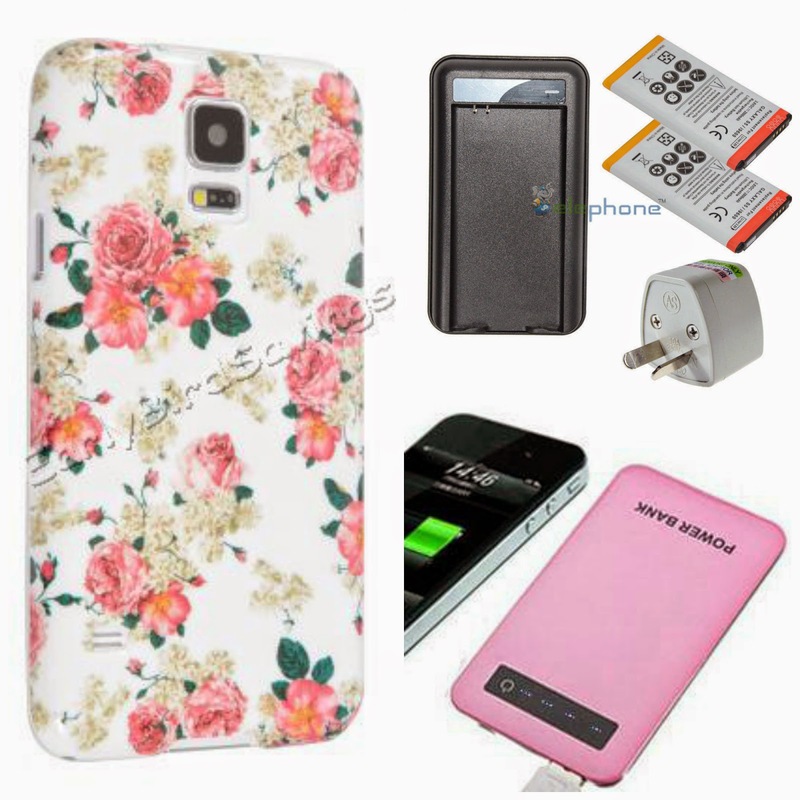 None of the items have arrived yet but I can share what I purchased – accessories for my favourite tech gadgets, my S5 and Sony NEX camera such as a new floral case, spare batteries and a power bank. Also, you don’t have to always wait for the big sales to make your purchases as you can still benefit by using coupons and promo codes online to give you a bit of guilt-free shopping and save you some coins. Almost every time I’ve shopped online, I’ve searched for a coupon to use and have been successful a number of times. I’ve shared a few of my favourite coupon sites on my blog and there’s one that just launched in Australia recently called CupoNation, which provides deals and coupons for Australian stores such as The Iconic, ASOS and Booktopia and some of my favourite beauty and fashion retailers all in one place – BeautyBay, Urban Outfitters, Ozsale and Shopbop. Sometimes it’s difficult to find out when there are sales happening in a shop but with this site, you’ll be able to find all of the best deals that CupoNation has to offer without having to sign up for multiple E-newsletters from several stores, for example, ASOS promo codes. There are many categories to choose from and if you’re into electronics or jewellery and accessories, you can easily find great deals and coupons for those items too. Disclaimer: Products were purchased by me, unless otherwise stated. I am not affiliated with any of the companies mentioned. All opinions stated by me are 100% honest with no bias. See more at http://www.questjen.com/p/disclaimer.html for full disclaimer. I managed to control myself very well for the EOFY sales, there were so many things I wanted but I really need to save haha. Thanks for the coupon links! I haven't bought a single thing! I wished I could splurge like I used to. Unfortunately now with my own hair and makeup service business I must control myself and buy only what I need and only what the business needs. I swear every time I'm walking through a shopping to pick up some lunch my heart breaks and I'm crying on the inside. I saw so much stuff was 50% off!! DOH! I love the mimco pouches too! I'm not a fan of their big button stuff too. It's so bloody heavy! Aww Mandy! I don't think I can ever control myself that much, especially when the sales are as amazing as 50% off! But it is good to hear that you have been looking out for your needs more than your wants so well done to that :) I hope the business is going well!